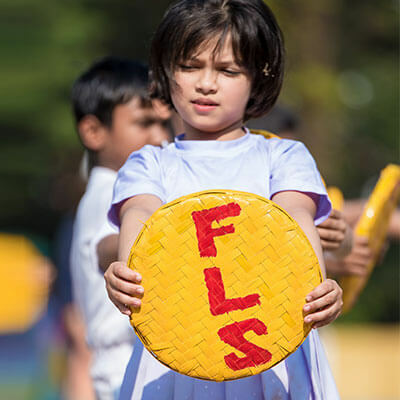 As a school that believes in nurturing students not just for academic excellence, but all-round development that prepares them for life, we at Father LeBlond School firmly stand true to our school motto “Love, Trust, Triumph”. We guide our students through emotional mentorship by ensuring we resemble parental figures rather than just mentors. This way, we gain their trust and then put in our 100 percent to instill in them values that will help in their spiritual, social, emotional, physical and academic growth and development. Our primary aim at Father LeBlond School has been to invoke the skill and power that lie dormant within each child and help him/her recognize and use it to discover who they are and what they want to become. Compassionate, resilient, grounded and leadership qualities in our students and excellent academic progress demonstrated by them speak for what we believe in. Through our comprehensive, exemplary education system, well-equipped infrastructure, trained and experienced staff, and positive and innovative teaching methods, we ensure that your children are under expert care.